Thanks for much for attending! Do you have any advice for writers trying to get their mental health up during the submission process? It can be so hard not feeling down when all you get is rejections! Thanks so much! How did you celebrate your first publication, acquisition, and/or client? Thanks! Hi Kaitlyn! Thank you for doing this. My question is if you’ve gotten good feedback and requests that despite a pass lead you to believe your query is working, is there any reason to hold off on sending out more? I know a lot of advice says to query in “batches” to make sure the query works and so that you don’t exhaust your list if you get feedback on how to fix things, but is this necessary when the feedback is relatively positive? Thank you! What is the most important aspect of the submission process? Hello! Acquisitions meetings are kind of a special mystery in this process, what are some of the reasons you’ve heard for why a book is stopped there? Can you identify the most common error you see when critiquing work? When you are reading to decide to take on a client, and the book is not quite ready to submit to editors, what is it that makes you offer? What kind of “it needs work” are you willing to go through edits with an author before submission? Hi! What makes a query stand out to you when you’re receiving countless submissions? Thank you! Having queried..a lot..I get rejections with helpful comments sometimes. My question: The most recent email from a publisher says, “they are submitting to the editorial department”–never had this comment. Any idea what this means? good? bad? or indifferent? Just can’t figure it out. 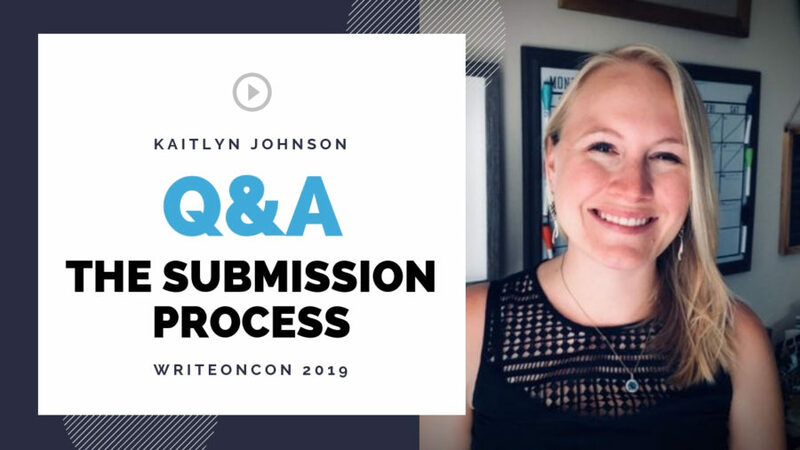 When you’re submitting a book to publishers, what does that process look like? Is it similar to the author’s query process? If you only get form rejections in response to your query, how do you go about figuring out what’s wrong or what isn’t landing? How do you prefer a query to be structured? As a marginalized writer, do I have to share every marginalization of my main characters? I share 2 out of 3 of the MC in my WIP. Is that enough or would I have to justify why I wrote about something different from myself? Does the agent expect that if those revision notes are used, that revision is exclusive to them? What are some of your personal query pet peeves? If you’ve passed on one (or more) MS from an author, but later fall in love with another and offer representation, will you go back and work with the writer on the other MSes, or will the previous no remain a no? When you say to close out a submission when you don’t hear back, do you mean to say that one should email the agent again and thank them for their consideration but since you didn’t hear back, you’re assuming they’re not interested and are closing out that submission? Is there anything an author can conclude if they’re getting form or generic rejections on partial or full requests? What kind of process do manuscripts normally go through once they’re submitted to an editor from submission to an offer? If I receive an offer from an agent, but I’d like to hold out on accepting to hear back from a more desirable agent, how would one approach that topic with said agent who is making the current offer? if your author’s published book generates some controversy, how would you advise your client to respond? What’s the most common issue you notice when editing manuscripts and how can an author fix it? Just to be clear, what is the correct word count for MG novels? And for YA? Thank you! Do you have tips on how to handle the call with an agent responding to your query? Is saying that your book is the first in a series a major turn off? How would you go about that and should it even be included in a query? In regards to feedback, when an agent says they didn’t connect with the voice, is that a comment that’s more in the realm of personal preference or is it more of an issue with the writing on a structural level? What’s the difference between a pitch and a query? Can you go into what separates older MG from younger YA please? What, if any, take away should be gleaned from receiving multiple rejections with positive comments, but that end with “But I just wasn’t connecting enough”? Is there something that an author can do to make people “connect enough” or is that comment a generic way to say, “I just can’t take this on” or some variation that means “it’s not you, it’s me”? Thank you! Note, this is after reading several chapters or the full. Thanks! There seems to be a gap between the ages of 12-14. What are your thoughts on that age group? Should there be another age category that encompasses that space between MG and YA? Thanks! With other conferences I’ve attended, some editors/ agents will accept queries within a certain amount of time. Do you practice this as well? If not, I understand. If yes, what’s the best way to do this? Either way, thank you! Do authors ever have more than one agent? I write picture books, but also write short stories for adults. What, in general, is the biggest red flag in a query? Do you also keep an eye on what MG/YA books are doing well in overseas English-language markets ? (Or are you just too busy keeping up with the US market?) Thank you. because the subject matter of my current manuscript is a tough sell, I’ve had like 10 agents ask to read my next project. Does that mean I should just send them a query since they didn’t specifically ask to read the full right away (when it’s ready of course)? If you are previously published, but it has been years since your book came out (due to unforeseeable life events) is this something you should mention in your query? Also, if you were previously represented by a different agent, should that go in the query? If so, how much info about why that relationship dissolved should be shared? Would you accept representing a foreign author, writing in English, of course, to publish in the US market? NEW ADULT! How do you personally see this becoming a thing? Do writers need to just start writing to that market and hopefully it’ll eventually gain steam? What is the best way for an author to find out sales numbers on comp titles? What are your feelings on using comps in queries? At what point do you write a query and then send to submissions? Should you already been through multiple edits in your story or is it okay to still be in the early draft stages? Coming in late but this is great. What is on your #MSWL? I think the unnecessary scenes that do not advance the story may be coming from Amazon/Netflicks original series. There are so many of them current series that I’ve seen. Thank you so much Kaitlyn for taking time to share this with all of us. Your answers were so clear and concise and encouraging. Hope you feel better soon. I have an early reader series that I have been submitting but not sure what category because it’s in between picture books and chapter books?